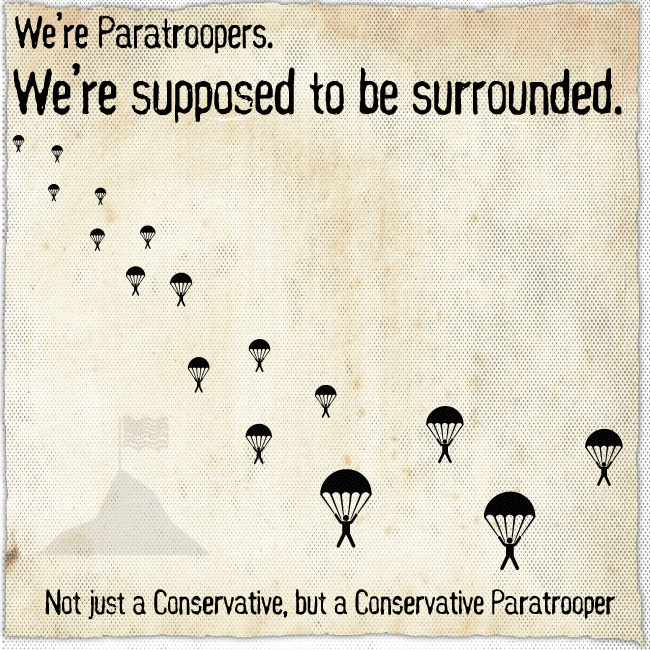 We're "Conservative" Paratroopers. We're supposed to be "surrounded" by our Liberal Friends and Family! Because the Main Stream Media is so Left-Wing biased, the general public, especially Left-Leaning voters have a hard time hearing the truth (e.g. Snowflakes). Likewise, we must find *other* ways to get the Truth out to those who need it the most, while also influencing potential voters to vote conservative. While it's been said to avoid talk of politics at family gatherings, one can find other ways to get the conservative message out without even talking about politics at the dinner table or parties. The overall goal of the plan described here is to get the conservative message out and convince them it is in their best interest to vote "conservative". This, plus showing them, the Left, what are wise choices to begin with, and how to also make wise decisions in their lives. To be to be polite and sociable, social etiquette says to avoid talk of politics at family gatherings. Nevertheless, one can find other ways to get the conservative message out without even talking about politics at the dinner table or parties. Below is a detailed plan of engagement to get the Conservative message out to those who need it the most. There is a saying that goes like this, "birds of a feather, flock together". When you have, for example, a Blue state, you are typically surrounded by Left Leaning people, and the mainstream media fuels Left Leaning beliefs while Conservative Voters seek to move to a place where Conservative Values are promoted. Hence, that same Blue state becomes even more Left Leaning through the loss of Conservative voters and just as significant, the loss of the Voices of Conservativism. Nevertheless, the Conservative Paratrooper intends to shake this up and "ruffle some feathers". 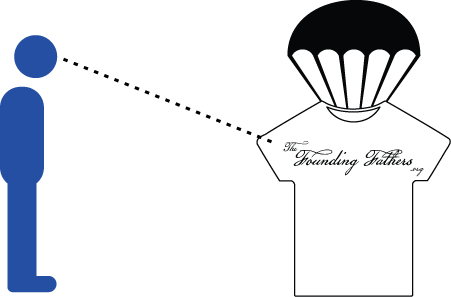 A Conservative becomes a Paratrooper and purchases and wears a shirt (e.g.. T-Shirt or Polo) with a FoundingFathers.ORG logo that will direct passersby to the website. 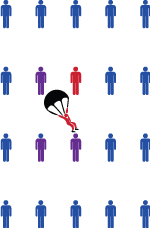 Conservative Paratrooper visits (or hosts) small friend and family gatherings (e.g., BBQ's, Birthdays Parties, High School Sports Games, etc.) wearing a shirt with a FoundingFathers.ORG logo. Left-Leaning Family or Friend notices Conservative Paratrooper's shirt (T-Shirt or Polo) with a FoundingFathers.ORG logo. Note, it might take a few events or a few close small talk conservations for anyone to notice, or even ask about it. 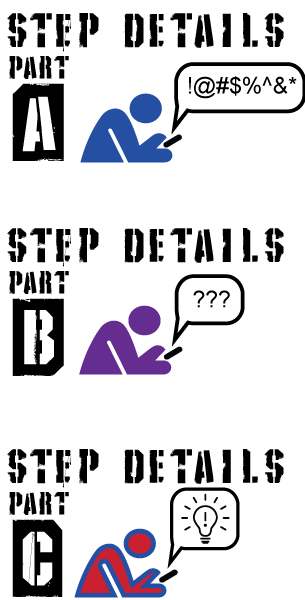 into his/her smartphone (e.g., iPhone or Android). [B] then silent and dumbfounded as who can make the Truth go away forever. [C] Over time, Left Leaning Family or Friend becomes more "open" minded to Conservatives and, hopefully, accepts the reasoning behind conservative principles. 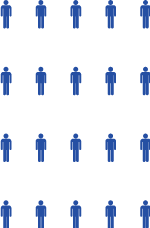 Small Social Circles now have a few Purples and a 1 or 2 Reds and are open to toward Conservative Ideas and is now in play when entering a future election. Note, while you have one person open to conservative ideas, you are basically still alone. You repeat the above steps carefully AND in the same family and friend circle. Don't stray too far, or go more than one-to-one. Be more familiar with the FoundingFathers.ORG website and arguments as there will be new material and arguments added on an ongoing basis. 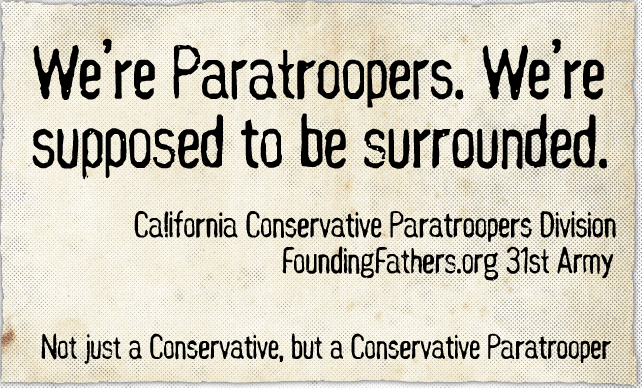 Find other Conservatives and suggest that should consider being a Conservative Paratroopers if they are tired of Left-Leaning Bias from the Media as well as leftwing bias from their own social circles.. If it doesn't go as planned, at least they will have a nice T-Shirt or Polo Shirt they can still wear. After teaming up with other Conservative Paratroopers, (have at least four (4)), pick other small family and friend gatherings to visit or host. Avoid big or public gatherings as they can be too loud, too busy, and too hectic. Be "approachable" but keep moving. Note, always have a smart "exit" strategy...i.e. live to fight another day. 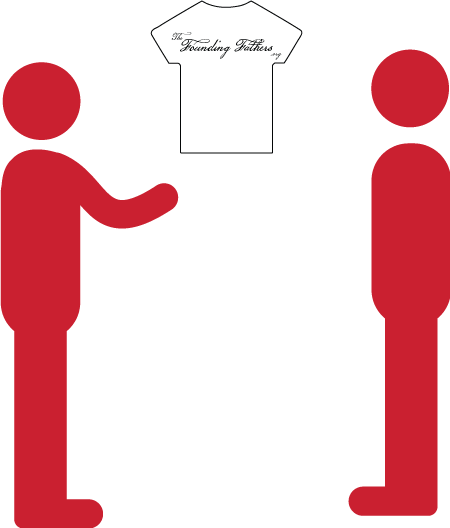 Nevertheless, if you are at a large venue (e.g., waiting in line at a restaurant or food court, or shopping) keep moving if you are wearing a T-Shirt as opposed to a Polo Shirt. Again, as stated at the beginning, "Birds of a feather, flock together". Hence, it is the reason why it's so difficult to get The Left to hear, or even listen, to The Truth. Hence, by being a Conservative Paratroopers that displays and advertises the FoundingFathers.ORG website, you get The Left to face the Truth. In other words, as a Conservative Paratrooper, you are "ruffling some feathers."